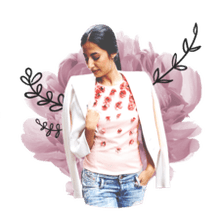 The Chadwicks catalog is a free women's clothing catalog / misses clothing catalog that highlights the classic style and affordability of the clothing chain. The catalog includes a wide range of apparel like dresses, skirts, blazers, outerwear, tops, sweaters, pants, activewear, and swim. They also offer shoes and accessories. Chadwicks of Boston has been in the clothing business since 1983, giving women quality clothing in classic styles. While they stay close to the classic styles that women have always love, they also offer some trendier picks as each season comes around. Chadwicks makes clothing for women of all sizes and heights. There are special sections of their catalog and website for petite, tall, and plus-sized women. If you would like to have a Chadwicks of Boston catalog mailed to you at no cost, there is good news—it is an easy process. All you need to do is visit their Catalog Request webpage and fill out the form with your name, address, and email address. There's a field for your phone number but this optional. Click the Submit button to submit the form. That's it! You can expect your Chadicks of Boston catalog to arrive in your mailbox within two weeks. While you wait, you can visit Chadwicks of Boston and browse or buy online. Once you receive your Chadwicks catalog and find something in it that you like, you can enter the item number on the Chadwicks website to quickly locate that item online. You also have the option of ordering over the phone with the phone number found on your catalog. If you'd like to unsubscribe to the catalog, you can at any time by sending the mailing label from the back cover of your catalog to Chadwicks Mail Preference Service, 42 Thomas Patten Drive, Randolph, MA 02368. Unfortunately, the Chadwicks catalog has a few geographic restrictions. The catalog can be mailed out to specific locations only, including all of the United States and Canada, plus Guam, Puerto Rico, the Virgin Islands, Armed Forces Pacific, Armed Forces Europe, and Armed Forces Atlantic. If you don't live in one of these areas, your only option is to access the Chadwicks catalog is online, through their website. You don't have to just use the printed catalog to shop at Chadwicks. You can use the menus at the top of the Chadwicks website to find tops, sweaters, dresses, skirts, blazers, outerwear, activewear, pants, swim, shoes, and accessories. There is even a category just for petite, tall, and plus sizes. Through these menus, you can find new arrivals in that particular category as well as items that are on sale. A clearance section is dedicated just to discounted items where you can sort the products by size, size range (plus, tall, etc. ), color, material, price, and rating—things you simply can not do when using the printed or online catalog. 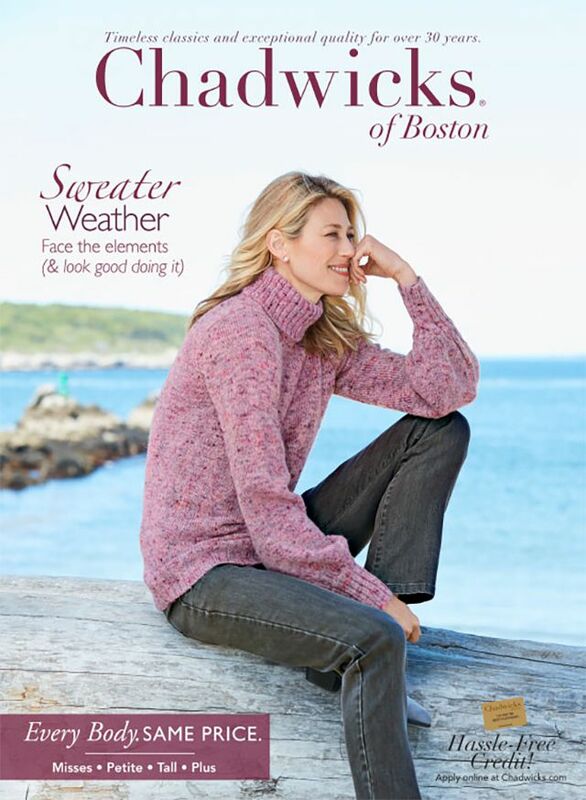 Chadwicks of Boston has several sister companies who also send out free clothing catalogs. Visit the links to below to go directly to their catalog request pages. If you like the Chadwicks of Boston catalog, you'll also like the free clothing catalogs from Appleseed, Garnet Hill, J. Crew, Jessica London, L.L. Bean, and Lands' End. There are other types of free catalogs you can also get sent to your mailbox including free home decor catalogs, furniture catalogs, seed and gardening catalogs, and gift catalogs.